This handmade outfit for a girls ages 18 months - 2 years old is perfect for any spring outting! 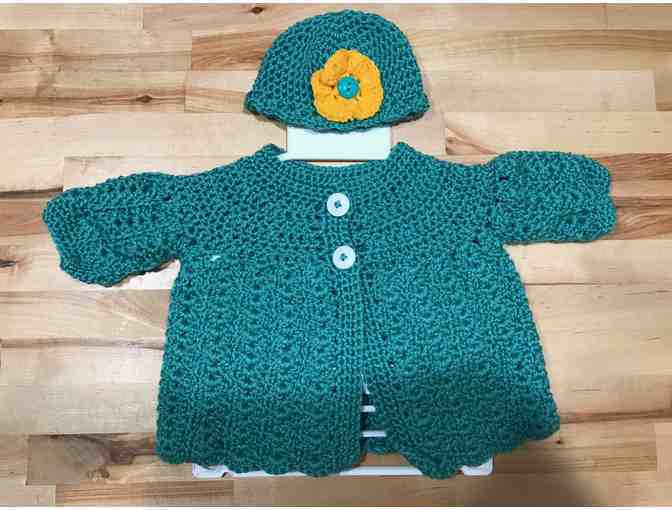 The outfit is completely machine washable and is made of soft yarn that does not bother a baby's sensitive skin. Bid today!